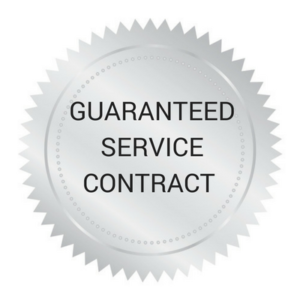 Guaranteed Service Contract was created back in the 1970’s by CitiRoof’s founder to provide building owners the fiscal luxury of being able to extend the life of an old roof system for approximately two to eight years, for a fraction of the cost of a new roof. We often find that by renovating the existing system, we can make it watertight and guarantee it for the first two years for a pre-determined number of service hours at no additional charge. While not all roofs qualify for a GSC® program, we will be happy to provide an inspection free of charge. This is just another way CitiRoof can save building owners hundreds and thousands of dollars by our innovative approaches to Commercial Roofing. Helping our clients meet their budgetary and property requirements shows our commitment to Customer Satisfaction and the repeat business that it generates.